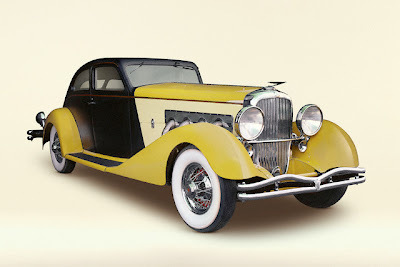 In the early 1930s, Duesenberg supercharged their J models, hence the SJ designation. Only 36 SJs were built, including this 1931 Duesenberg Model SJ Torpedo Sedanette with a body by Bohman & Schwartz. Their performance is legendary, 104 mph in second gear, topping out at 140 mph.